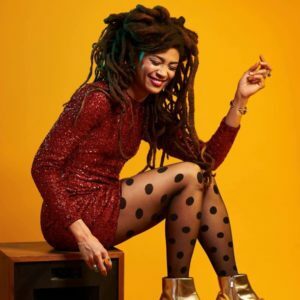 Multi-instrumentalist and Tennessee native Valerie June performs a diverse conglomeration of American roots music that encompasses traditional spirituals, Americana, classic blues, folk, soul, and bluegrass. Through stark acoustic rhythms and uncanny slide guitar, She effortlessly shifts between eras and genres. She can be haunting and melancholic while singing of the ghostly darkness of loneliness, or full of warmth and charm, at one moment seductive in a sensual come-on, fragile and vulnerable, the next in a display of naked honesty. Valerie June transports you to another world the moment you hear her voice. It is a voice that has been winning over audiences around the world in a seemingly short few years since she first burst upon the music scene. June is currently on tour in support of her highly-acclaimed new album The Order Of Time. The follow-up to her breakout 2013 release Pushin’ Against A Stone, the new disc seals her place amongst the finest of roots musicians exploring new paths while maintaining a truthfulness to the past. 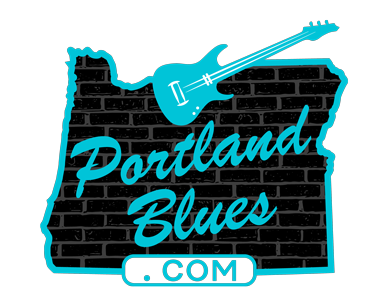 Valerie June will be appearing at Portland’s Aladdin Theater on Saturday, June 3 for an 8:00 pm show. Unfortunately tickets are sold out through the venue, but can still be found online through several ticket brokers. Please be wary of such outlets and verify their authenticity before ordering.